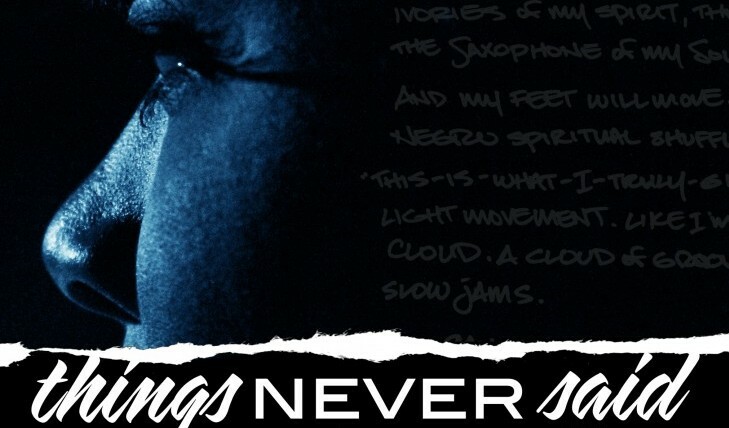 Directed by Charles Murray, Things Never Said is about an aspiring poet who is still haunted by a past miscarriage and a dangerous marriage. Daphne, Kal’s best friend is also dealing with romantic issues. Her boyfriend, Steve regularly takes advantage of Daphne’s kindness. Kal is soon surprised when she begins to develop feelings for Curtis, a man who has a damaged past and an estranged daughter. Together, Kal starts to find her voice and her self worth. If you’re interested in dramas, think about checking this movie out when it opens in theaters. Fans of the hit television show, Shameless will see a familiar face. Shanola Hampton plays one of the lead roles. Michael Beach, Tamala Jones and Omari Hardwick will also appear on the big screen. If you get bored on a Saturday night and you haven’t seen your girls in awhile, think about going on a dinner and movie date with a group of them. This film definitely isn’t the best for a first date because of its intense, emotional content, but if you’ve been in a relationship for quite awhile, go ahead and take your honey to see this movie. The two of you might learn a thing or two. How do you support a partner whose had a miscarriage? 1. Offer an ear: Every couple is different, but if your significant other is the type who likes to talk about the situation at hand (whether it be good or bad), then take the time to listen. If they want to talk about the loss of their baby, then let them. Let your partner know you’re there for them, but don’t force any sudden conversations. Let your companion come to you first and then take the lead from there. 2. Give them space: When your honey is ready to spend some time alone, don’t push the issue. Instead, pick up some of the slack around the house. Cook all of the meals, do the laundry and clean up any messes you see laying around. This would also be a good time for you to grieve properly. Go over to a loved one’s house. If you don’t feel like talking, fine, but just being around someone who cares about what you’re going through will make you feel better. Related: What Does Unconditional Love Look Like? 3. Say goodbye: When you and your boo are ready, commemorate your baby’s memory. Hold a memorial service or funeral. If preparing for this becomes too difficult, start a journal or write a letter to let out all of your feelings. Acknowledging your loss and providing yourself with some closure will help you come to terms with what happened. Have you been through a miscarriage? How did you support your partner? Share your experience below.